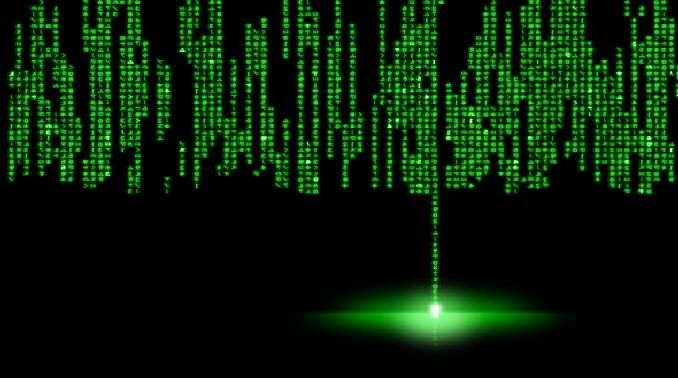 The matrix can be defined as the holographic experience of a third dimensional reality we have chosen into in order to learn lessons or to have experiences. Signing up for this experience was a high risk choice with a high reward of moving to a higher spiritual placement in the cosmos. In preparation for exiting from the program, we reincarnated time and time again, however we accumulated karma that sometimes did not get balanced due to the forgetfulness of our goals. In order to exit the matrix, we must become aware of our goals as a spirit having this physical experience, heal the energies tied to the karma, and serve humanity and the planet in order to reach our goal of ascension. “Ascension is a shift in consciousness, a raising of all lower bodies (physical, emotional, mental and spiritual) to full awareness and presence in the NOW. Ascension is the raising of consciousness to a new level of existence, a shift from 3rd dimensional reality to that of the 5th dimension and beyond. The process of ascension involves awareness, intention meditation, loving yourself, transmuting karma, healing, raising your vibration, transmuting fear, and serving others. These topics are covered in the free E-Book, How to Ascend. Preparation for ascension takes work and dedication. Once awakened to the reality of the extreme polarity which was designed to help us awaken, the next step is to dedication to the task of completing the healing necessary to create the space inside of your heart where you can expand the light. The expansion of light causes the raising of vibration which causes the shift into another reality or consciousness. The main preparation involved for ascension is personalized to each individual, however there are some similar stages that are being shared in social media outlets such as Facebook Groups. Here people can share personal experiences such as ascension symptoms and articles, and access support groups among soul family members that agreed to find each other through the great cosmic mind we call the internet. Ascension is not just a personal experience. It is also a human consciousness experience and a planetary experience. The triad of self, human consciousness, and the planet creates a triangle. Triangles are geometric patterns that create stargates when activated. On the microcosm level, each prepared human will have two triangles which form a double helix that will spin to form the personal stargate for each individual’s consciousness to be able to travel through. This dual- triangle geometric energy pattern is centered on the body within the heart space and is connected out of the crown chakra to a person’s oversoul. Thus the human body is termed the merkabah vehicle for ascension. When Earth activates her merkabah, the resulting stargate will bring in the energy that will recalibrate earth’s entire field and will in turn affect the bodies of those on the planet that have prepared for this grand occasion. The ability to activate our merkabah exists in our DNA. Our planet is now in alignment with the photon belt which is an energy field of higher vibrational energy that changes the experience of planets that are immersed into it. As Earth is immersed, she raises her vibration due to her humans grounding the photons through using their bodies and grounding rods. As this higher vibrational energy is grounded in to the planet, all humans on the planet begin to have access to this transformational energy which slowly changes our cells from carbon based to crystalline based. DNA is the code which patterns the hologram of physical experience. DNA exists in the nucleus of all cells of the body except red blood cells. When the vibrational level reaches a certain level, the crystalline cells fill with light and cause a change in the overall makeup of the human body. This new body is based on the Adam Kadmon lightbody template, which is the original template for the human body before the planet fell into a lower density existence. Some people also call this a regenerated or rejuvenated body, and some call it the rainbow light body. The codes within the dormant DNA strands have to be activated in order to make the change from carbon based to crystalline based. There are two ways to receive these code activations. The first is to receive light from the photon band which is in alignment with our Great Central sun, Alcyone, in the Pleiades. Alcyone is now in alignment with our sun and the earth. By consciously allowing the energies from our sun via Coronal Mass Ejections (CME’s) of plasma to enter through our crown chakra we can consciously anchor it into our heart chakra. This has to be a slow process otherwise our bodies would explode apart. The second way is to receive this code activation from someone who has consciously received the codes and anchored them into their heart. This can be done by either being in that person’s vicinity where their vibration affects the water in the body. The water takes on the vibration which includes the codes. The vibration of the codes reverberates through water and enters the nucleus of the cells. The sound of a person’s voice can also echo into the body’s water which brings the codes into the cells. Some people who consciously do light work will anchor the vibrational codes into their bodies and use their bodies as an antenna or transmitter, and consciously send out the codes in a wave of love to their neighborhood, city, state, country, and planet. Having a perfected DNA template means that the body will remain youthful and will not degenerate or deteriorate. The upgraded human consciousness will be able to heal the body and repair anything that is out of alignment. If a person had a missing limb before regeneration, they would be able to regrow that limb just like a lizard can regrow its tail. This new way of living in the physical will give us a body that is somewhere in between the light body and the dense body that we occupy now. It will take responsibility and awareness to keep it glowing with light. The Light Body of the Adam Kadmon is our pattern for a return home to the greater Light Body of Universal Being. This greater Light Body he refers to as the Asheroth, although he stresses that this is just one of its many names. The Adam Kadmon is the ‘photograph’ of the Asheroth which is encoded hologramically in the Zohar body. The Zohar is the light body that permits the physical system to move into greater dimensions and universes of experience. The Adam Kadmon body allows for the full connection to our true Source which is not possible with the current density body. Currently those who are on the spiritual path are connecting only with that small part of Source that exists within the body. This spark we carry is what causes the heart to beat and the lungs to breathe. Expansion of this connection through the Adam Kadmon body will allow the completed experience of bringing more of this essence of heaven to earth. Planet Earth also has a merkabah and is going to regenerate her body with the help of humanity. The space ship that we are on called Earth allows human consciousness to exist on her and also allows incarnation into physical bodies. Part of the Zohar experience will be the remembrance of skills and abilities that the human body had before the earth fell in density. Humanity will once again gain the ability to create from the formless or background energy and will thus be able to reverse the damage done to the planet over the many years of abuse. The codes we are receiving cover a wide range of spiritual abilities that will create peace, unity, cooperation, integrity, truthfulness and cultivating a sense of beauty both inside and out. Other abilities will include achieving telepathy, stronger intuition, and physic gifts. Humanity is destined to become the true stewards of the New Earth through a higher conscious awareness that she is also a living, sentient being. Humans will once again realize that her wellness depends upon humanities wellness. Humans will treat her body as they do their own and will treat others just as they are a part of themselves. Humanity has been on a long road of third and fourth dimensional existence and is now astrologically aligned to receive the energies needed for Mother Earth to move into a new place in the Universe which exists in a higher vibration. By triggering our own awakening and ascension vibration, we will assist the planet in triggering hers as well. When she “goes within” herself, she will enter the space which will relocate her consciousness into a new reality. This “void” is the “space between” where creation occurs. Planet Earth has been stuck in this reality just as long as humanity has. She will be successful in her ascension due to the number of lightworkers and starseeds on the planet who have held the light needed to fuel her birthing. The process is steady and calculated and is guided by extradimensional beings who have taken over the stewardship of the planet until humanity can once again be responsible caretakers. An individual’s process of integrating light into the human body is facilitated by each person’s guides and angels. Those that have not realized that they are a spark of the Great Spirit having a human experience in tandem with Planet Earth will leave their bodies to have the same type of recurring extreme polarity play on another planet that is preparing for ascension. Eventually, all roads lead to Rome and all of the souls that signed up for the ascension will arrive in Rome just in time for the Cosmic party and ambassadorship induction ceremonies.